The British luxury car maker Bentley has had an eventful history starting in the early 1920s with sporting cars. With proven speed and reliability the cars soon became popular for long distance races with many wins most notably at the 24 hours of Le Mans. The sporting heritage has continued within the company and although the company’s cars are now luxuries saloons and grand tourers they keep alive the sporting spirit both in performance and design. Bentleys have long been prohibitively expensive aiming squarely at the top end of the automotive market. The range has included many convertible cars including the had crafted 4-seat Azure and popular GTC models in recent years. 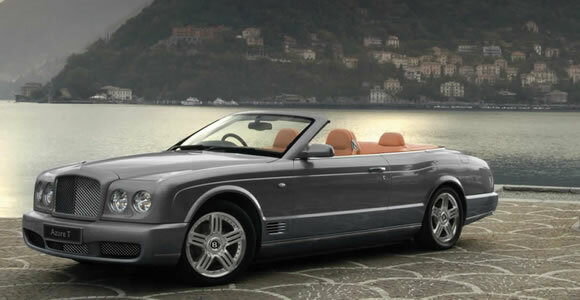 Bentley were able to claim the crown of having the fastest 4 seat convertible in production with their GTC Speed model.